The Super Streak Meter is located to the left of the draw bucket (A). 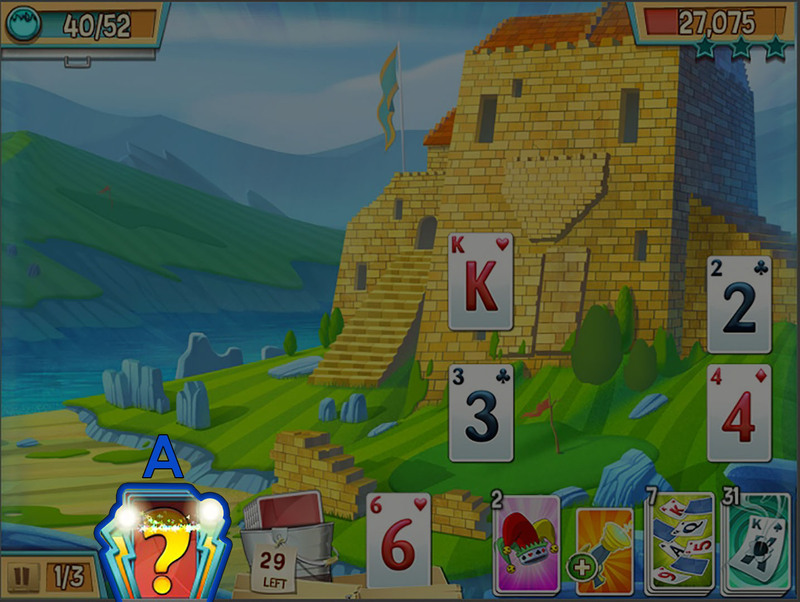 The meter fills a little each time you collect a card off the board. Clear 14 cards without drawing a new card from the Draw Pile to fill the meter. 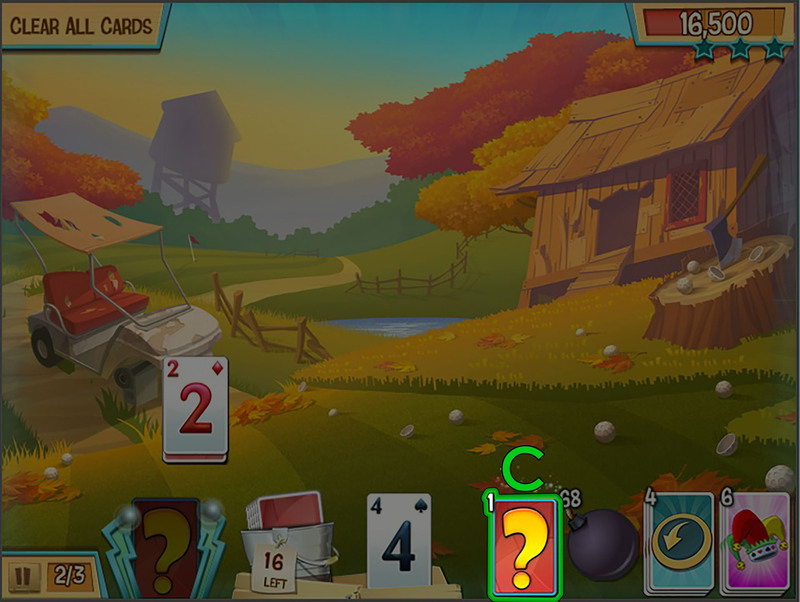 For every 14 cards you play in a row, you will get a reward when you draw your next card! 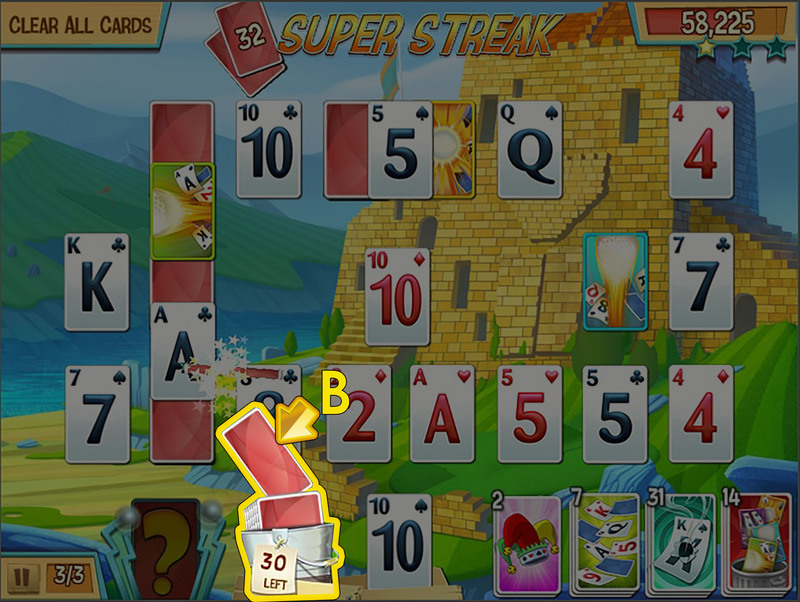 The reward for filling the Super Streak Meter is usually an extra card in the Draw Pile (B). Sometimes during special events like the Surprise Alternate Super Streak (SASS), the reward will be a random mystery Critter Card (C) that you can use to replace any standard card on the board. The SASS Critter Cards will sometimes get mixed in with the Powerups during the event when switching boards, so don’t forget to check the carousel for your earned Super Streak rewards!